The Best Sketch blogs from thousands of top Sketch blogs in our index using search and social metrics. Data will be refreshed once a week. Also check out Top Sketch Youtube Channels list for Top videos on Sketch. 2.52 Nova Scotia Art Robert Martel. Sketch Blog. Sketch newsletter is a comprehensive summary of the day's most important blog posts and news articles from the best Sketch websites on the web, and delivered to your email inbox each morning. To subscribe, simply provide us with your email address. About Blog This is a subreddit to post drawings and sketches or ask for advice, comments and criticism on your current projects. Facebook fans 1,064,963. Twitter followers 457,191. Singapore About Blog Product Design sketching tutorials. The Design Sketchbook will accompany you along your learning journey with motivational article, design courses and ID sketching tutorials (Analog and digital sketching) to sketch like the pros. Facebook fans 138,795. Twitter followers 177. Amsterdam & NYC About Blog Learn how to make art a part of your life! Sketchbook Skool offers online video classes with top illustrators and designers. Drawing, watercolor and more. Facebook fans 35,740. Twitter followers 3,570. About Blog A place for anyone who loves anime to show their art to the rest of the world. Facebook fans n/a. Twitter followers 1,372. About Blog Harmony Fine Arts plans organize great art and music appreciation resources into the classical four-year cycle of history and seasons each week with a Charlotte Mason flavor. Facebook fans 3,021. Twitter followers 1,022. About Blog James Richards is an urban designer, artist, author and traveler based in Fort Worth, Texas. His work explores great places and placemaking around the globe. He lectures and teaches design drawing and urban sketching workshops across the U.S. and abroad. Facebook fans n/a. Twitter followers 688. Facebook fans n/a. Twitter followers 2,273. India About Blog Check out the blog to see random ramblings, idiotic jargons, horrible music and crappy artwork. Oh, and don't forget the midnight rants. Facebook fans 28. Twitter followers 11. London About Blog Drawing on location - around and about London. Urban Sketchers is a network of artists around the world who draw the cities where they live and travel to. Facebook fans n/a. Twitter followers 3,603. About Blog The goal of this blog is to hone my visual communication skills. I will post updates frequently, and hopefully this will keep me motivated to draw every day. I want to be able to look back at my work and see clear improvement. I hope that this site will also act as inspiration for others who enjoy sketching. Facebook fans n/a. Twitter followers 3,586. About Blog Blogging on sketching art journals, creating, painting! Facebook fans 265. Twitter followers 17. About Blog You're visiting the award-winning Sketching in Nature, a group blog began in April of 2009; it's grown both in readership and contributors since then, and just gets better all the time. About Blog Welcome to Stuck?! Sketches! This is a fortnightly sketch blog for anyone who may be *stuck* in finding some mojo or just wanting a change. Edinburgh, Scotland About Blog I am an illustrator living and working in Scotlands capital, Edinburgh. This is my personal daily sketch blog of life in this beautiful city. Facebook fans 4,271. Twitter followers 8,888. Seattle, WA About Blog Sometimes just a spot of color keeps things light, not overworked. And red. About Blog Munish Mehta is a 2D Animator and Sketch artist . Orlando, Florida About Blog Welcome to the sketch blog of Krista (Nicholson) Staggs! I’m most known for my older website, Suta-Raito, my Pokemon/Disney crossovers and other fan pieces.I hope you enjoy looking at my collection of sketches! Facebook fans 65. Twitter followers 680. About Blog A place for inspiration, fun and creativity! London, UK About Blog Welcome to my digital sketchbook! I try to post once a day here and share everything from scribbles to polished work, fan art and even professional illustration when possible. Facebook fans 484. Twitter followers 379. About Blog The Art of Rino Wenger, an Illustrator and aspiring Concept Artist out of Thun, Switzerland. Facebook fans 228. Twitter followers 189. About Blog I’m a full time animator in San Francisco. I like to draw and drink coffee. Class of 2014 from the Academy of Art University with a BFA in Character Animation. Brazil About Blog I’m a freelancer illustrator, concept and comic artist based in Brazil who loves to create. About Blog I’m a Brazilian illustrator, and Graphic Designer. I have influences in my work as a fantasy, rpg, music, and American comics, Japanese and European. I try to focus on merging contemporary design techniques with a variety of artistic influences. About Blog Sketch blog by Sarah Therese Kellington. About Blog The Illustration and animation portfolio of Luís Moreira, a professional cartoonist in Love with the art of Cartoon, the Slapstick comedy of Looney tunes and The magic of Disney and Ghibli Animation. About Blog I’ve been drawing as long as I could hold a pencil and make a line. I was homeschooled growing up, during which time I took every opportunity to doodle all over my assignments. In my teens I also attended a small private art school, and in 2013 I graduated from Portland Community College with an Associate’s Degree in Graphic Design. Little Rock, AR About Blog My name is Vincent Smith I am a Freelance Artist and Writer, i enjoy drawing and painting and creating my own concept character designs and illustration art. About Blog Our Freshly Made Sketches Design Team provides weekly inspiration and clean sketches for you to try! We'd love to see you each week. Facebook fans 1,366. Twitter followers 68. About Blog A best sketching blog. About Blog With more than 18 years of experience as a studio designer at Toyota, Craig has worked on every aspect of automotive design from creation of high level design to real world production feasibility. Ranging from vehicle production exterior designs, to show car exterior and interior designs, to championship winning race car designs. About Blog Authored by Cathy Gatland - Sketching, watercolours, oil painting, sketch and travel journals, a hotchpotch of what's on my right brain right now. About Blog Sketch blog by Barbara Malley - a Cartoonist and a Character Designer based out of sunny Southern California, USA. Hong Kong About Blog Rob Sketcherman is known for his Urban Sketches and Life Drawings, done solely on his iPad. An artist, writer and freelance illustrator who lives in Hong Kong, he gets his kicks from observing life and telling stories visually. Miami About Blog This is Maria Loor's blog about the creative process on design, art and illustration and life sometimes. Facebook fans 237. Twitter followers 36. Facebook fans 1,607. Twitter followers 1,234. About Blog A regularly updated web log - blog, if you will - of the art, cartoons and other miscellaneous work by animator/illustrator Mark Haldane; a man who often writes in the third person. Facebook fans 73. Twitter followers 299. Zurich, Switzerland About Blog Life Science Studios provides accurate, artistic illustrations for researchers and science communicators. Specializing in ecology and evolutionary biology, we help our clients bring scientific discoveries to life through engaging visual communication. Life Science Studios was founded by biologist and artist, Julie Johnson. About Blog Carmen Wood is an artist, illustrator and writer from Minnetonka, Minnesota. Facebook fans 90. Twitter followers 7. About Blog Hi, I'm AnneLouise. I'm an author & illustrator. Welcome to the Woodland Abbey. A page dedicated to my most favorite thing, creating stories for children. Facebook fans 430. Twitter followers 169. 52. Nova Scotia Art Robert Martel. Sketch Blog. About Blog Online gallery of Halifax and Nova Scotia art by artist Robert Martel. Watercolour paintings, pencil sketches, ink drawings, portraits. Nouakchott, Mauritanie About Blog A blog about sketching and painting in Mauritania and other places. About - For twenty years I have been producing architectural perspectives and visualisations for architects, property developers and estate agents. I am an inveterate sketcher and I kept a sketchbook journal of life in the Theatre throughout the year. About - Drawing on location - around and about London. Urban Sketchers is a network of artists around the world who draw the cities where they live. About - I am an illustrator living and working in Scotlands capital, Edinburgh. This is my personal daily sketch blog of life in this beautiful city. About - GO SKETCH helps children boost their confidence through art. Develop fine art and sculpture skills in an encouraging, non-judgemental environment. 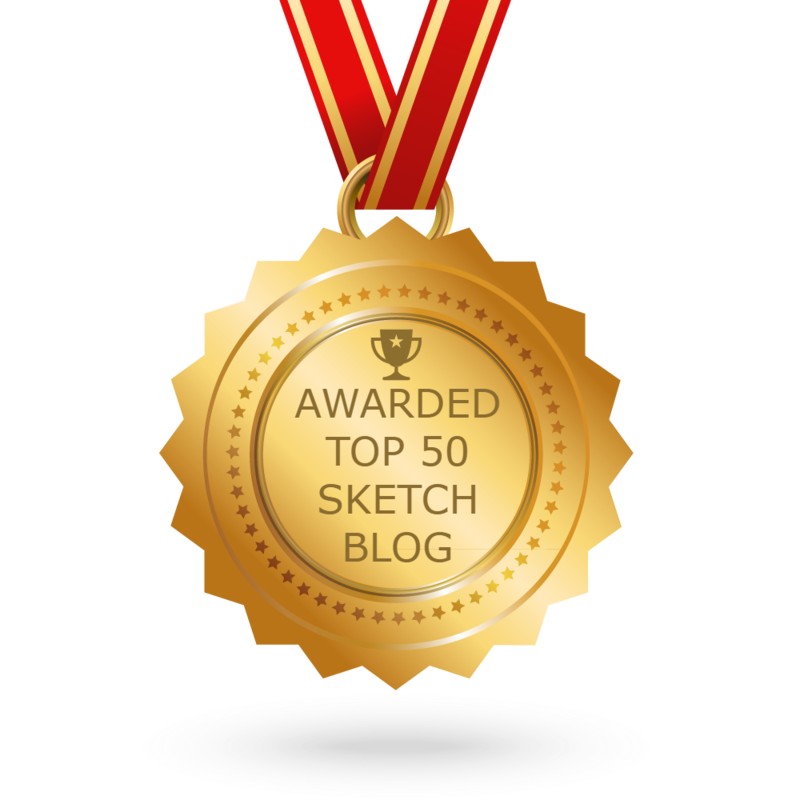 CONGRATULATIONS to every blogger that has made this Top Sketch blogs list! This is the most comprehensive list of best Sketch blogs on the internet and I’m honoured to have you as part of this! I personally give you a high-five and want to thank you for your contribution to this world.